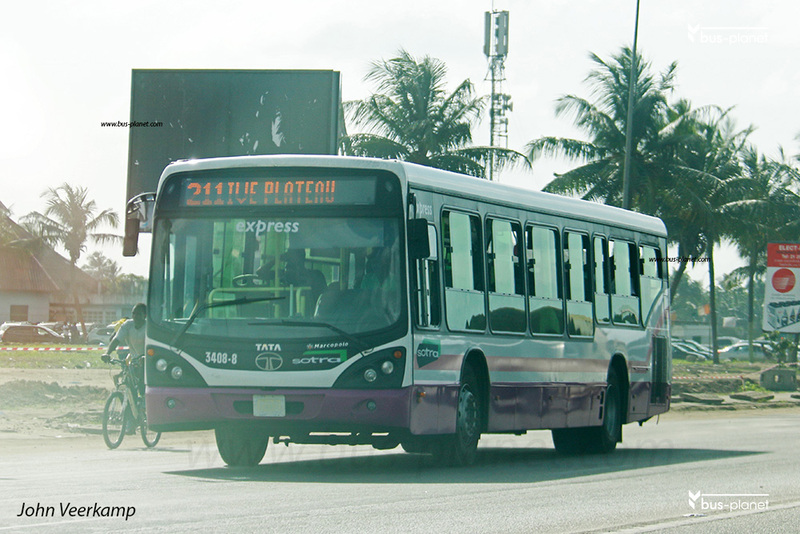 In September 2017 SOTRA re-instated the Express bus services with purple/pink-white buses that carry only seated passengers. Picture(s) taken by John Veerkamp. Cote d'Ivoire. Abidjan. dd: 2017-11-03.